WGS has some top rated golf wedges now available on its Online Superstore. With top rated golf wedges you can start saving strokes immediately. Most professional golfers believe the most important club in your bag are your wedges. To some amateur golfers, top rated golf wedges may be something of an afterthought. In truth, it should be the most thought about club in your bag. The right mix of lofts, sole grinds and bounce angles can save you from some of your worst shots. 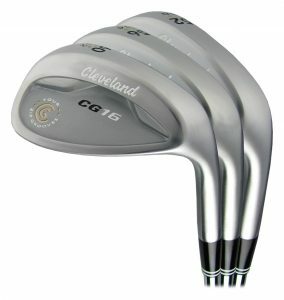 Top rated golf wedges are a must have if one wants to have a good short game. Wedges require plenty of practice to master the variety of shots one can hit with them. Just watch Phil Mickelson on the PGA Tour with his wedge play around the green! With a loft of about 45 to 48 degrees, the pitching wedge is used for the longest wedge shots–about 135 yards and closer for most male players. In addition, the pitching wedge’s loft is ideal for chip and pitch shots around the green where the player has room to roll the ball to the hole. A gap wedge has slightly more loft than a pitching wedge, but shots will travel farther than with a sand wedge or lob wedge. The club is a fairly new development made by club manufactures to bridge the distance different between the pitching and sand wedge. The standard loft for a gap wedge can be anywhere between 50 and 54 degrees. The relatively strong loft of a gap wedge also makes it a standard choice for chipping and pitching near the green. The standard loft for a sand wedge can range from 54 to 58 degrees. The sand wedge is more lofted than a pitching or gap wedge, so shots will not fly quite as far. Sand wedges feature a rounded base so that it can more easily slide through the sand on bunker shots. The more rounded base produces bounce, which also means the clubhead will bounce when used in the fairway. The clubhead on sand wedges makes getting the ball in the air more difficult and increases the likelihood of skulled shots. Lob wedges are the most lofted wedge, with a measurement generally between 58 and 62 degrees. Some lob wedges have 64 degrees of loft for players who want to really stop their ball on the putting surface. The lob wedge is meant for short approach shots and is best utilized when a player needs to stop the ball quickly on the green or approach a tough-to-reach pin placement. Because the club is more lofted, players can take a larger swing to pop the ball in the air. However, this can be a risk and increases the chances of a bladed shot. As you can see, which ever wedge you use, can help you save shots on the course. Most good players have three wedges in their bag for the variety of shots need around the green. Wedges have overtaken drivers as the one club more golfers are saying can improve your score. The lob wedge is one club that can have an enormous impact on lowering your score . This is what a good set of golf wedges can do for your golf game: Consistently Escape Bunkers & Hit High, Soft Flop Shots Almost Automatically! Escape the Rough · Leave Yourself Makeable Putts · Eliminate Fat/Thin Shots · Game-Changing! Golf Tip: I highly recommend carrying at least two wedges in your bag when playing your course. 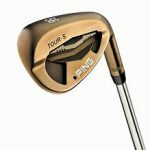 The pitching wedge and the sand wedge are must haves in the bag for most golfers. Adding a lob wedge or gap wedge can be beneficial but keep in mind you can only carry 14 clubs in your bag so if you add a lob or gap wedge you’ll probably have to remove another club in your bag to be at the 14 club maximum. I am pretty new to golfing, and did have clubs. But, I am not familiar with a lob wedge. I know what the other wedges are used for. I know this is probably a pretty basic question for you, but even when my son took lessons, a lob wedge was not mentioned or used. Thanks! A lob wedge is usually about 60 degrees in loft. It has more loft than your pitching wedge or sand wedge. You use it when you want to hit a short shot high and want the ball to stop with very little roll. Mostly, it is used around the green. It is great for use in a sand bunker or to hit a shot over a bunker that you want to stop right away. It is better to have one, than to open the face of your pitching or sand wedge and blading the ball on your shot. Most of your touring pros carry 3 wedges in their bag. THE SHORT GAME IS THE MOST IMPORTANT PART OF ONE’S GOLF GAME. IT IS WHERE YOU CAN SAVE THE MOST STROKES ON A HOLE. If you play a course with fast greens, you’ll want to have a lob wedge. When I read your great article about the wedges I start thinking about one thing. Is it right that the main thinking should be the mix of wedges in the golf bag vs fairway wood to hit long par 4 and par 5? If my opinion about that is right, is it then very good to add Lob Wedge in it when you play in shorter holes? What I have in mind that for example may field in Europe is, I believe, shorter than for example in the USA. So if you are playing on the smaller field, is not the lob wedge a must? Yes the lob wedge is a must when playing shorter holes. I would remove the 4 or 5 wood and replace it with the lob wedge. I hope you have some hybrids in your bag too. The short game is the most important part of ones golf game. You can save many strokes with a good short game and good putting. My Dad is an avid golfer and he is always looking to up his game. He is willing to pay more even if it will only improve his game by one stroke. WGS sounds like a great option for him. I do have a question though. Out of all the ways my Dad could improve his golf game, what is the number one way he could do so? I look forward to hearing your answer. Thank you for sharing and I hope you make it a great day! The short game is the most important! Add a good lob wedge to his bag. Carrying 3 wedges is good. Take out the 4 or 5 wood. I hope he has some hybrids in his bag as long irons are the hardest for most people to hit. A good driver that he can hit well, as well, as a good putter for saving strokes on the green. I would add the lob wedge for short shots around the green.